If you are going to see a patient in the exam, than its more than likely you will be presented with a patient who has either Bell’s Palsy or an UMN 7th secondary from a stroke. Either way it is common to find these patients and you should be prepared to expect to see these patients in your finals. What are the differences between an UMN and a LMN 7th Nerve? What advice would you give a patient with a 7th Nerve Palsy? What are your differential diagnosis of a facial nerve lesion? In order to answer these questions, by understanding the anatomy you can score full-marks because this is a very easy exam question! The facial nerve has three components, motor, parasympathetic (efferent) and visceral (afferent) fibres. The facial nucleus lies in the pons medial its motor fibres track around the 6th nerve nucleus called the facial colliculus. Within the facial canal is an important collection of cell bodies called the Geniculate Ganglion. It has both motor and sensory components. Sensory inputs are carried via the Nervus Intermedius to the geniculate ganglion. 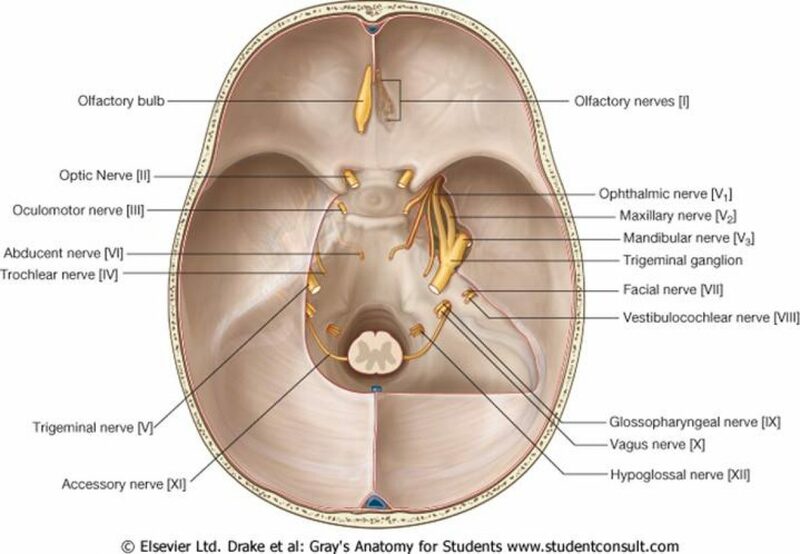 The Chorda Tympani– has visceral afferent sensation convey sensation to anterior 2/3 of the tongue and para-sympathetic efferent fibres to the sub-lingual and sub-mandibular glands. The facial nerve arises at the stylomastoid foramen giving branches to the posterior belly of the digastric muscle, stylohyoid, and posterior auricular nerve. OKAY LETS BE HONEST THATS TO MUCH INFORMATION AND NO ONE WILL EXPECT YOU TO REAL THAT OFF IN THE EXAM BUT LETS SUMMARISE THIS! Therefore you can simply localise the pathology based on its course and it becomes easy! The muscles in the lower aspect of the face are controlled by the contra-lateral hemisphere however those in the upper have bilateral cortical representation. Therefore in an UMN only the lower facial muscles are involved, in comparison to a lower facial nerve palsy where both the Upper and Lower facial musculature are involved. Stroke, Tumour, Lesion can cause unilateral upper 7th Nerve palsy. These patients will present with the motor components but will not have the associated para-sympathetic and visceral symptoms this is because the nerves have already have been given off. REMEMBER: PATIENTS WITH A FACIAL NERVE PALSY GET VISCO-TEARS AND EYE LUBRICANTS. LOSS OF EYE CLOSURE, LEADS TO CORNEAL ULCERATION.